The ancient Mayans called it Ah Cuzamil Peten, the island of the swallows; a place of fertility sacred to the moon goddess lx Chel. Today's visitors are more likely to focus on sun and sea than lunar rituals, but hints of the old ways still exist for those who know where to look. Thousand-year-old stone structures hidden in island forests give mute evidence of times past, while modern day descendants of the builders share wisdom passed through the generations. Visitors can discover these traditions and engage in immersive hands-on experiences to harvest, cook and craft the way the ancients once did. In years past, cultural tours focused on sites on the Yucatan mainland, which require full days involving ferry and bus rides. 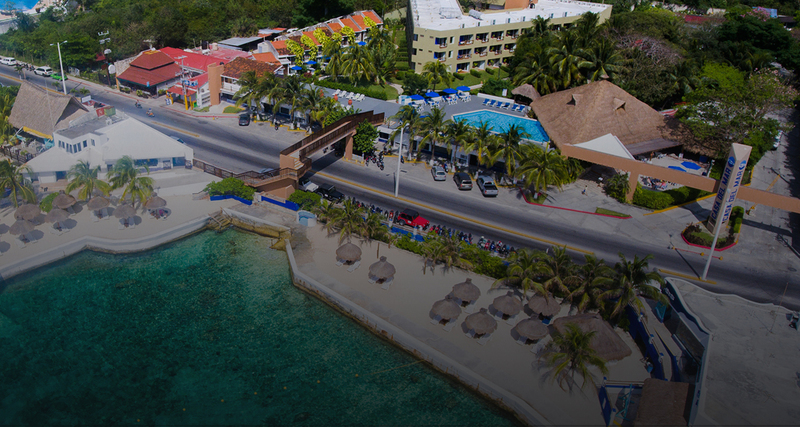 More recently, a number of cultural programs and exhibits on Cozumel itself allow visitors to immerse themselves in the region's culture and history without leaving the island. 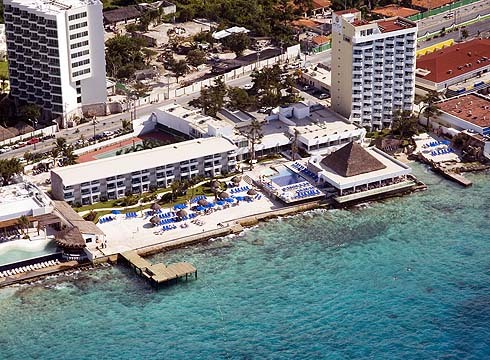 Go light on your hotel's breakfast buffet before a tour to save room for Cozumel's traditional culinary treats. The Kaokao tour provides a chance to make your own chocolate bar; you can sample traditional chicle gum and native honey at Pueblo del Maiz, and fill warm, hand-made corn tortillas with fresh salsas. The historic Punta Sur Lighthouse hosts an ecological park and museum. Just outside San Miguel de Cozumel, the Discover Mexico Park provides a window into the region's cultural past. Rancho Palmitas provides horseback tours to Mayan ruins of Cedral. Visitors entering Pueblo del Mai receive a welcoming blessing from a Mayan priest and engage in hands-on activities that provide a glimpse of authentic village life in pre-Colombian times. Long pants and close-toed shoes for horseback tours. Swimsuits and a towel for tours that include a stop at Chankanaab park. Sun protection for tours through the Punta Sur eco park and crocodile lagoon. A camera and a tote bag to hold handicrafts and goods purchased from vendors. CARADONNA RECOMMENDS includes 7 nights Ocean View Suite accommodations, breakfast, lunch and dinner daily, snacks, and beverages including premium alcohol, daily entertainment, free WiFi, CHI professional blow dryer and flat iron, $1500 resort credit to be used on select activities, tours, spa and romantic dinners per specified amount (16% tax to be paid in cash on island will apply for using resort credit), roundtrip airport transfers, hotel tax and service charges. Valid 8/25/19-10/15/19. Book by 5/31/19. Additional dates available at varying rates. CARADONNA RECOMMENDS includes 7 nights Deluxe Tropical View accommodations, breakfast, lunch and dinner daily including alcohol, daily entertainment, one 3-reef snorkel tour at Cielo, Colombia and Palancar reefs, one Chichen Itza tour including buffet meal (ferry transfer not included), $200 per room resort coupons to be used on applicable items, roundtrip airport transfers, hotel tax and service charges. Valid 6/23/19-8/17/19. Book by 4/30/19. CARADONNA RECOMMENDS includes 7 night Pool View Jr. Suite ccommodations, one 3-reef snorkel tour at Cielo, Colombia and Palancar reefs, one Chichen Itza tour including buffet meal (ferry transfer not included), breakfast, lunch and dinner daily, snacks, and by the glass beverages including alcohol, daily entertainment, free WiFi, $200 per room resort coupons to be used on applicable items, roundtrip airport transfers, hotel tax and service charges. Valid 6/23/19-7/13/19 & 8/8/19-8/17/19. Book by 6/30/19. *Additional dates available at varying rates..
CARADONNA RECOMMENDS includes 7 night deluxe accommodations, paddle board El Cielo (4.5 hours) including private boat at an exclusive area in Cozumel 1-4 paddlers, non-alcoholic drinks including snacks, Coba and Tulum Tour Playa del Carmen (5 hours) including lunch, visit the archeological site of Coba; visit a beautiful cenote named Tankach-Ha; get to know the archeological site of Tulum (not inc ferry transfer to Playa del Carmen), 3-Reef Snorkel & Glass Bottom Boat Tour (1.5 hours) locations are Cielo, Colombia and Palancar; start time 10:30am and 2:30pm, 600 mega pass, roundtrip airport transfers, hotel tax and service charges. Valid 4/27/19-7/6/19 & 8/12/19-12/21/19 (additional dates available at varying rates). 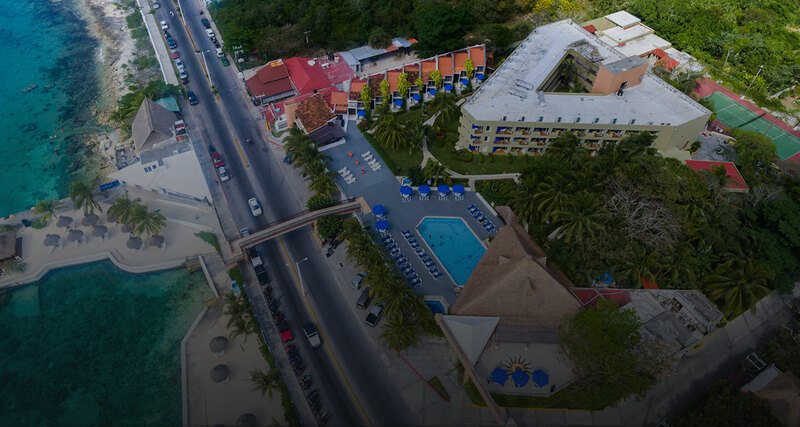 Add $193 per person for all food, snacks and beverages in the onsite restaurants, use of the tennis courts plus numerous beach and pool recreational activities plus entertainment. 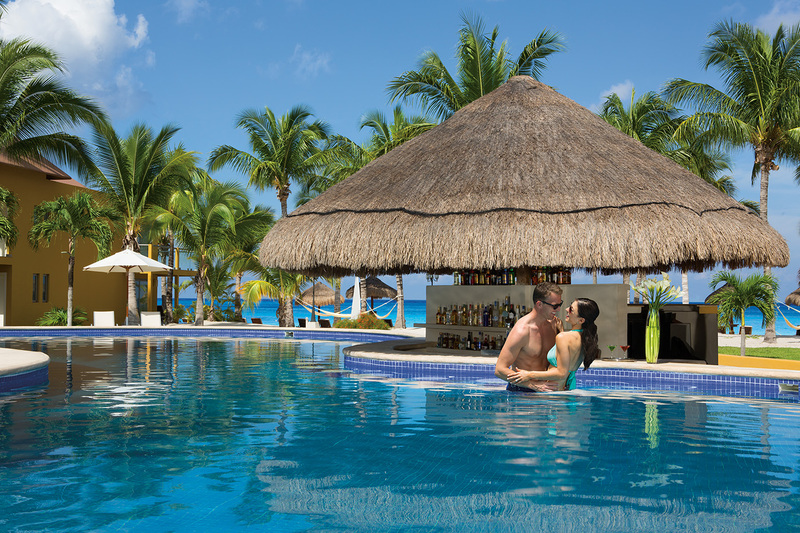 VACATION PACKAGE includes 7 nights superior room accommodations, hotel tax and service charges. 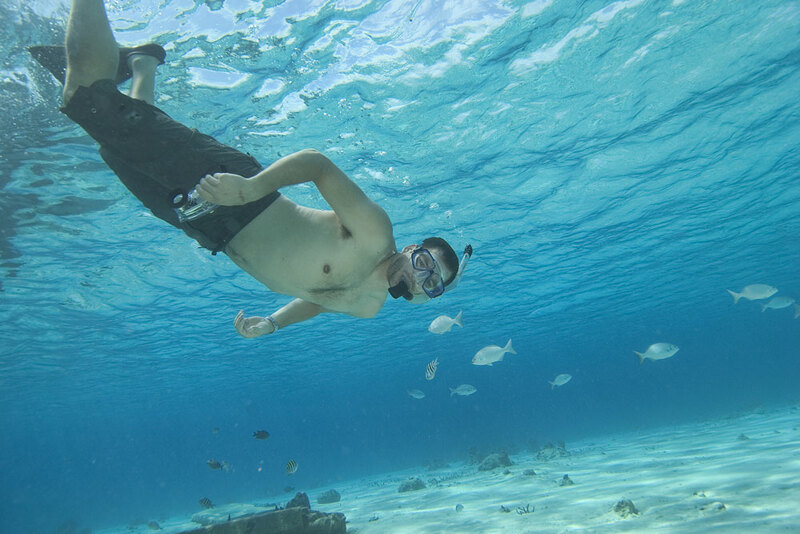 Options to add-on Snorkel Tours, Cultural Experiences and Paddle Board Excursions. BUILD YOUR OWN PACKAGE includes 7 nights accommodations, breakfast buffet daily, receive $25 food and beverage credit per room when a min of $100 USD is spent during stay or $50 F&B credit per room when a min of $200 USD is spent during stay, 15% off gift shop, free WiFi, roundtrip airport transfers, hotel tax and service charges. Options to add-on Cultural Tours, Paddle Board Tours and Snorkel Tours. BUILD YOUR OWN PACKAGE includes 7 nights Ocean View Suite accommodations, breakfast, lunch and dinner daily, snacks, and beverages including premium alcohol, daily entertainment, free WiFi, CHI professional blow dryer and flat iron, $1500 resort credit to be used on select activities, tours, spa and romantic dinners per specified amount (16% tax to be paid in cash on island will apply for using resort credit), roundtrip airport transfers, hotel tax and service charges. BUILD YOUR OWN PACKAGE includes 7 night deluxe accommodations, breakfast, lunch and dinner daily, snacks and beverages including alcohol, free WiFi, roundtrip airport transfers, hotel tax and service charges. 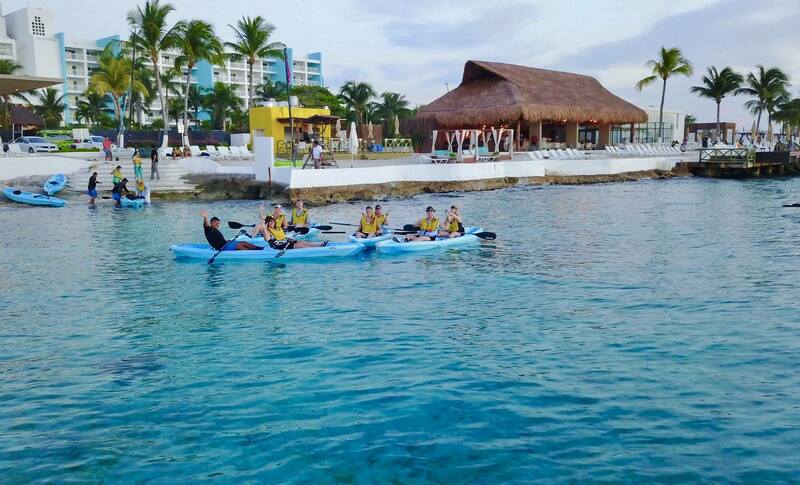 Options to add-on Paddleboard Tours, Culture Tours to Mayan Ruins and Snorkel Tours. BUILD YOUR OWN PACKAGE includes 7 nights superior accommodations, breakfast, lunch and dinner daily, scheduled resort activities and entertainment, use of non-motorized watersports, roundtrip airport transfers, hotel tax and service charges. Options to add-on Paddleboard Tours, Culture Tours to Mayan Ruins and Snorkel Tours. BUILD YOUR OWN PACKAGE includes 7 nights Deluxe Tropical View accommodations, breakfast, lunch and dinner daily including snacks and by the glass beverages including alcohol, daily entertainment, $200 per room resort coupons to be used on applicable items, roundtrip airport transfers, hotel tax and service charges. 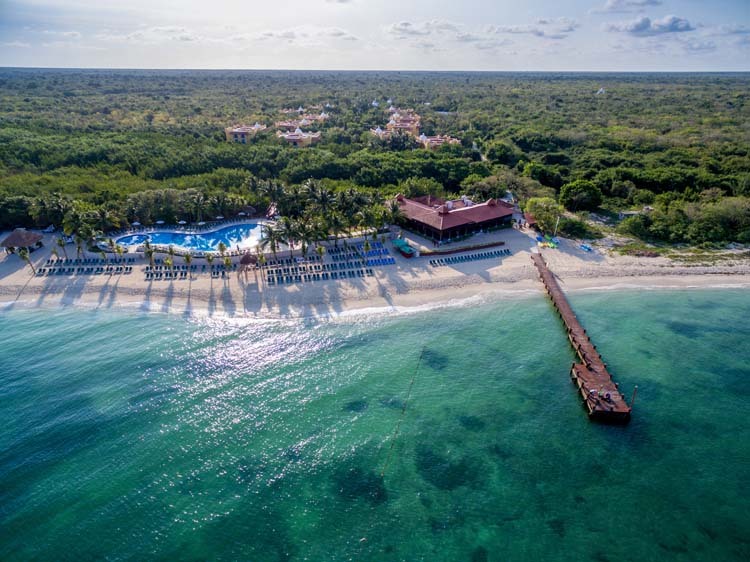 Options to add-on Spa Packages, Paddle Boarding, Coba and Tulum Tour, Snorkeling Tour, Chichen Itza Tour, Offroading Tour and Cozumel Mayan Heritage Tour. BUILD YOUR OWN PACKAGE includes 7 night Pool View Jr. Suite ccommodations, breakfast, lunch and dinner daily including snacks, by the glass beverages including alcohol, daily entertainment, $200 per room resort coupons to be used on applicable items, roundtrip airport transfers, hotel tax and service charges. Options to add-on Spa Packages, Paddle Boarding, Coba and Tulum Tour, Snorkeling Tour, Chichen Itza Tour, Offroading Tour and Cozumel Mayan Heritage Tour.